This afternoon, we registered the expanse of normalcy. Again we trudged through the great plains of sexual harassment in this country. This time, it involved an ABC journalist and the NSW Opposition Leader. 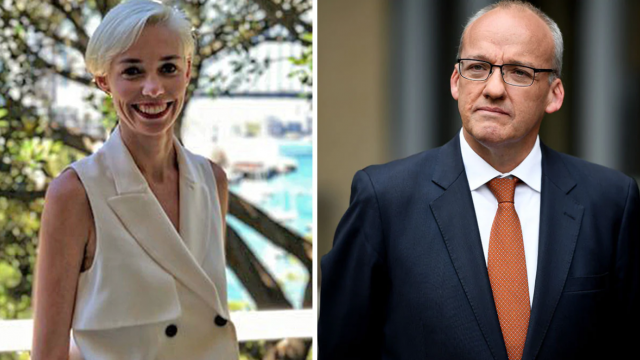 In a statement not long since published by her employers, Ashleigh Raper outlined a particular evening in 2016, where the hand of Luke Foley ventured inside her underwear. Sadly Luke Foley didn’t have anything going for him as Opposition Leader even BEFORE he was outed as a groping drunken creep. A solitary evening in 2016 might not seem a large deal in the grand scheme, but what happened between then and now is worth noting, as it is seemingly the normal course of action that is taken. Both of those things are legitimate fears. However, this behaviour is not exclusive to the organs of state politics, we’re all subject to it. We’ve all faced situations where an act like this has happened, and in turn, we’ve had to compartmentalise the damage done, as we know how much worse it can get if we were to take it further. I recognise the purported behaviour from Luke Foley, as it is verbatim to those who are caught, those who then attempt to mitigate the damage done, and in turn, save themselves, and in turn, diffuse the responsibility of the action. Per Raper’s statement, the issue was openly discussed in parliament (against her consent) last month, which resulted in a telephone call from Foley on November 4. He told me he had wanted to talk to me about that night on many occasions over the past two years because, while he was drunk and couldn’t remember all the details of the night, he knew he did something to offend me. There’s a couple of key phrases in that statement. The oscillating between resigning and not is one, but the other, particularly regarding the remorse that he felt over the intervening years, but not exactly sure of what, and indeed, not exactly enough to pick up the phone before a third party forced his hand. He was just a drunk idiot, that’s all. I’m not speculating on the motivations of Luke Foley, it rings familiar, especially to those who have endured similar. Whatever happened, it won’t be touched until someone makes them touch it, and while they may lose their position (or not), the victims have to endure the marks of our aggressors. In my own small world, the workplace harassment I felt cost me my position. I was let go for unrelated reasons. I never said anything, but my enduring silence was deemed as a threat. The higher this person climbed, the more of a risk I was became. For his sins, I was punished. Yes. The question must now surely turn to who else was involved. Who in NSW Labor knew, and who else kept it quiet?